I finally hit the wall today with our (at best) 20 Mbps download and 1 Mbps upload speed. I was going to upload some raw video of Eli's games to the cloud, and it was going to take a week. So I checked into Xfinity (Comcast), and within 15 minutes on the phone, I got a 150 Mbps package for $60 a month for the first year ($80 a month after that). The very friendly fellow said I could do the install myself--just go to the Comcast office located three minutes from my home, pick up a modem, and boom. First off, there was no Comcast office in that location. However, there was one 20 minutes away instead of 3. Off I went. They gave me a modem and cables, and gave me a number to call after I had hooked up everything. The people at that number would activate the modem. Two, three minutes top, they said. I know, it looks pretty normal, but it gets a little strange when you find out where those cables are going. 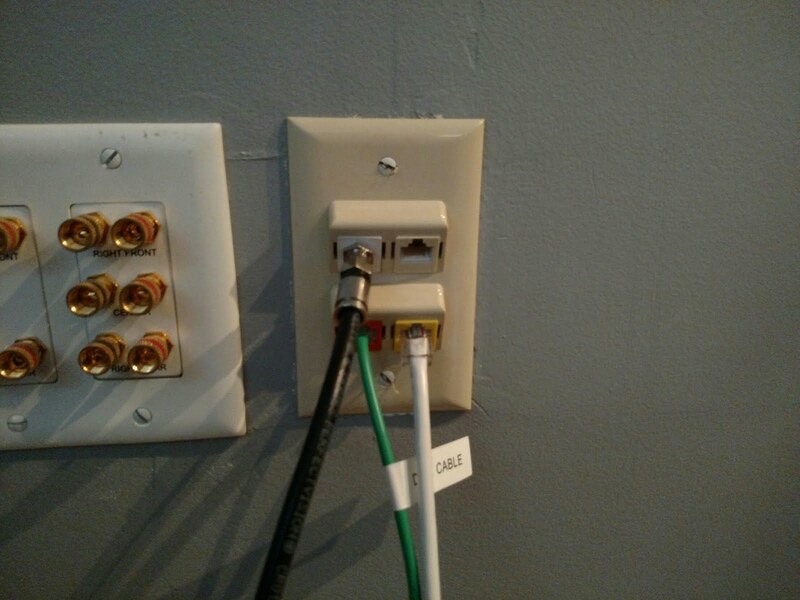 The coax cable goes into a DirectTV Genie (the little remote unit in a separate room from the main receiver), and the green data cable goes into a broadband connection at the back of the AT&T modem. The white data cable is a wired connection that somehow magically comes out in my study. Seriously, I have no idea, although I know very, very little about this kind of stuff. The coax cable, with the new modem, is the required connection, but if I disconnect it from the DirecTV box, we lose satellite downstairs. I do it anyway, connect everything, and call Comcast. I talk to a very cheery fellow who is from Bogota, Columbia, who is extremely nice, but knows hardly anything at all, seemingly. Please note, this isn't on him. Companies endlessly subdivide tasks so that almost no one at a company knows how to do anything except a very, very narrow set of tasks. That lets the company pay much less than they'd have to pay to a generalist. In this case, my two or three minute phone call lasted over 45 minutes, and in the end, absolutely nothing was activated and they're sending a technician on Wednesday--which I get to pay for.